When Calhoun County supervisors helped buy a grain bin rescue tube for their fire departments, they hoped no one would ever have to use it. One of those supervisors, Tony Morgan, could not have known at the time that the equipment would help save one of his own employees. In 2017, Morgan called 911 after the worker became trapped in a 40,000-bushel corn storage bin on his farm. He and his employees had tried to remove the worker themselves but quickly realized saving the worker would require the tube. Bruce Fire Department Chief Charlie Hill and Assistant Chief B. J. Farmer soon arrived with Calhoun County Fire Coordinator Chris Williams. They had recently received training on how to use the tube and relied on that knowledge to save the man’s life. 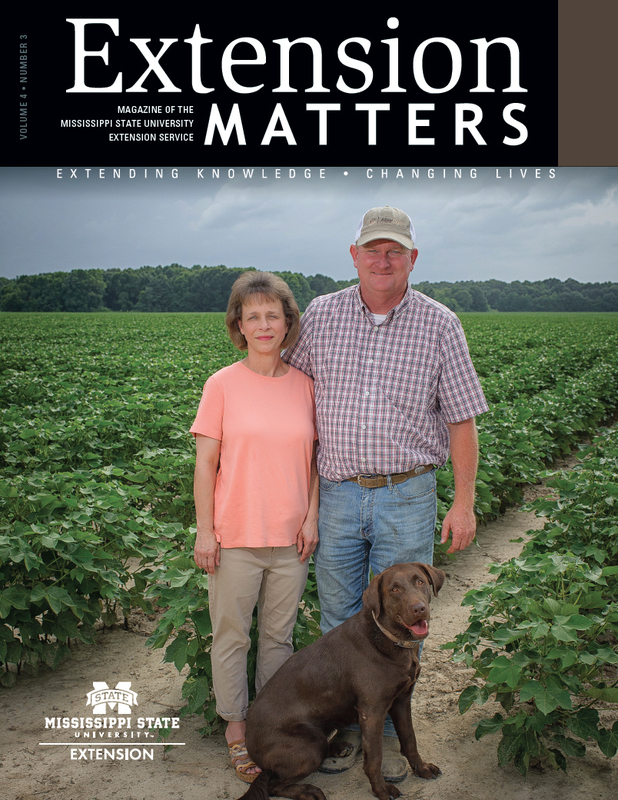 The training was a joint effort of the Mississippi State University Extension Service and Mississippi Farm Bureau. It was held at the Extension office in Calhoun County with Farm Bureau safety specialists. Training sessions were held for first responders and growers, including Morgan. Morgan says he hopes more first responders and growers will have access to similar equipment and training in case they ever need it. When Farmer arrived at the scene, he knew getting the worker out would require all the knowledge he gained from the Extension training. Had Farmer’s rescue attempt been unsuccessful, the next option would have been to cut the sides of the bin to relieve pressure off the worker’s torso and keep him from sinking. “I hoped the tube would never be used, but, the one time we needed it, it paid for itself,” Williams says. Farm Bureau provides grants to first-responder departments across the state to help purchase equipment. Williams collaborated with the county board of supervisors and matched Farm Bureau grant funding to buy the tube. The tube is 5 feet tall and comes in three pieces that buckle together; the top has a safety harness. After the tube is pushed down around the trapped person, an auger is drilled into the corn around the tube to pump the grain away from the victim. Trent Barnett, Mississippi State Extension agent in Calhoun County, says the successful rescue resulted in interest among area growers to hold an additional safety training workshop. From left, Calhoun County firemen B.J. Farmer, Charlie Hill, and Chris Williams display their grain bin rescue tube with Mississippi State University Extension agent Trent Barnett. Get the basics on how to make your own low-cost coffer dam for grain-bin rescue at http://msuext.ms/y8dza.